Protect and preserve wood floors, trim and wood furniture with a whole-home humidifier from Ray’s Heating and Air. Chances are, you have too little or too much humidity in your home, or both, throughout the year. Each situation has its own dilemmas. The main causes of low humidity are an overly arid climate or simply the process of heating your home. When you turn up the heat, dry air absorbs moisture from everything inside your home, including you! This can cause your beautiful wood floors to shrink, crack and creak. Humid weather as well as day-to-day activities, such as breathing, cooking, and doing laundry, can add nearly 25 pounds of moisture to a home every day. 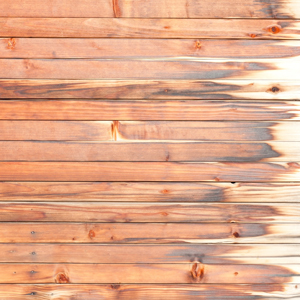 This increased humidity can cause wood to warp and rot. Your woodwork, wood floors and wood furniture are hygroscopic – capable of absorbing and releasing moisture. Uncontrolled humidity can wreak havoc on these furnishings. It’s important to maintain proper humidity levels. If RH is too low, your indoor air will absorb water from the wood, causing it to shrink. If RH is too high, the wood will take on moisture, causing it to swell. Humidity control: every climate, every season – every day. Aprilaire whole-home humidifiers and dehumidifiers automatically control just the right amount of moisture in the air to continually maintain optimal indoor relative humidity. Once installed and properly maintained, you never have to worry about the problems that result from unregulated humidity again.